This was almost one of the coolest products ever to hit the street from FASA. I started work in late 1987 and I worked on it sporadically for the next couple of months. 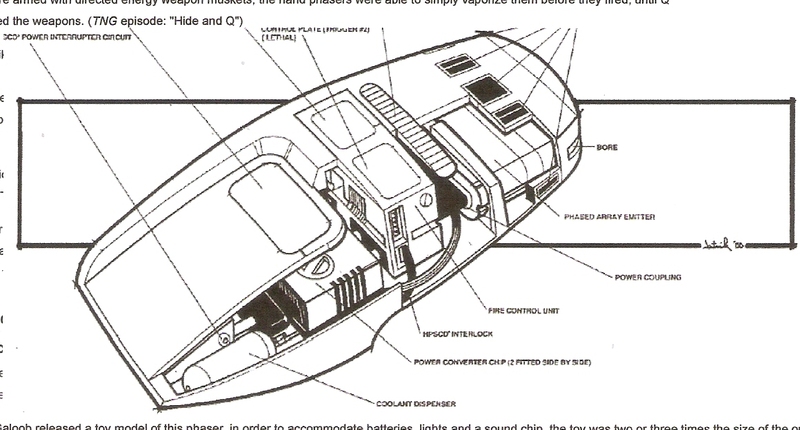 It was full of all sorts of nice techy information but evidently the Great Bird had problems with some of the text; book was pulled and edited down to a ghost of the original form (I think most of my cutaway drawings failed to make the cut). If you have the first volume you have a collectors’ item. I worked hard to make the “guts” of each device look functional. Again, a background in industrial design followed by experience as a maintenance officer in the Army was of great help. In order to facilitate maintenance almost all complex devices in the military are built up out of smaller components; first and second echelon maintenance/repair consists mainly of testing and replacing those smaller modules. It was disappointing to see wire & LED “spaghetti” when Data or some android was opened up on camera. Maybe it was a budget thing or writers thought viewers needed 1950’s technology in understand what was going on. 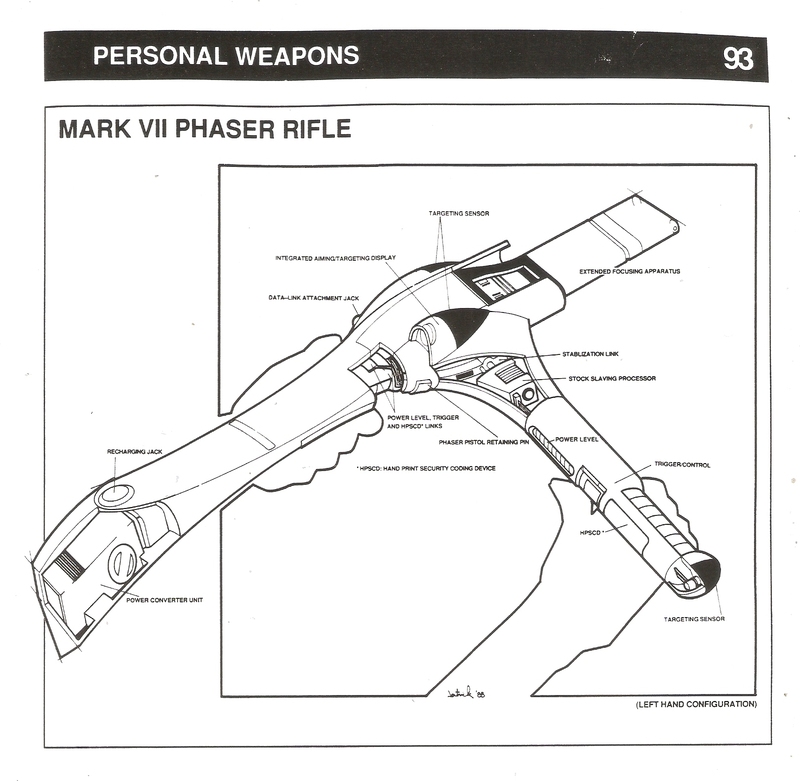 When I got to the Phasers I tried to carry on with the design philosophy used with the Original Series side-arms: the concealable Phaser 1 could clip into the Phaser 2 when more power was needed with the Phaser 2 clipping into a rifle when you really needed to knock something down. When I got to my version of the rifle I decided to have some fun. Taking a page from George Lucas’ book I styled the rifle on a British STEN submachine gun i.e. the lethality of the base weapon is mirrored in the new device. I rationalized the long side-handle as being the base for a more accurate “triangulating” sighting system…and these weapons would need them because you’d have a hard time hitting anything with them.You’ll have a hard time finding a current military rifle without a pistol grip because they help shooters more instinctively aim. It plays on the way you hold your hand when you point a finger. 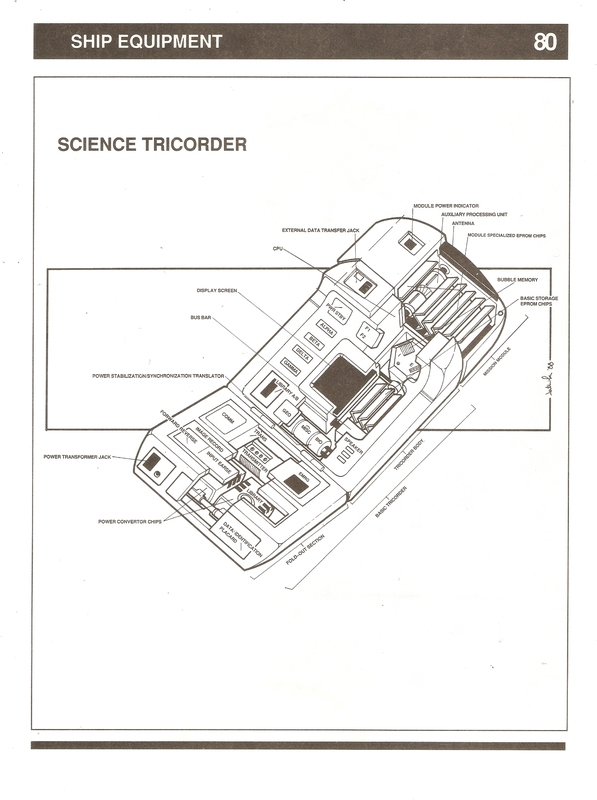 Flatten the hand out and your aim gets even more shaky; when Worlds of Wonder used a flashlight -format for the initial prototypes for Lazer-Tag they found effective aim to be impossible. The word must have gotten through: this “dust-buster” format got an angled-down handle towards the end of DS:9. 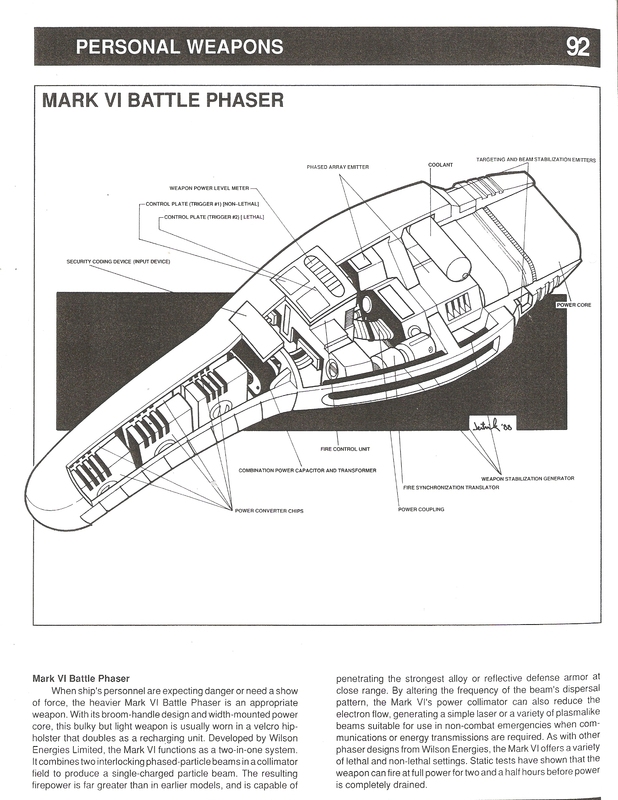 This entry was posted in Art, Star Trek and tagged Art by David R. Deitrick. Bookmark the permalink.